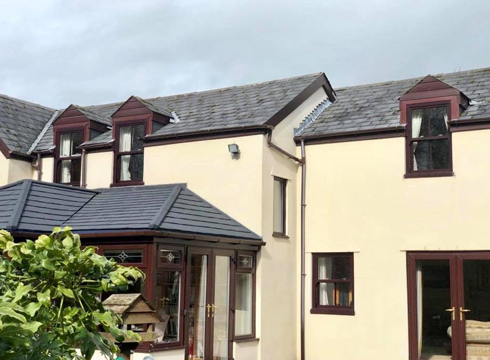 For an attractive, contemporary style and an uninterrupted view of your garden, sliding patio doors from South Wales Windows & Doors are the ideal choice, they’re highly secure and space saving. 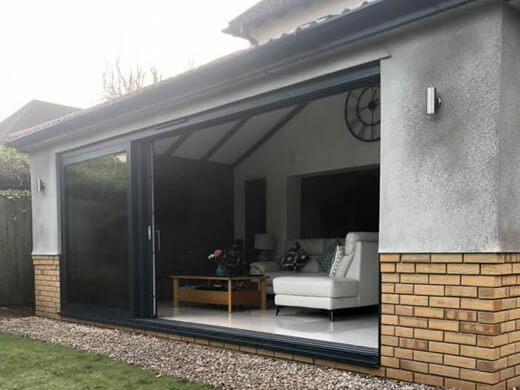 For the best functionality and accessibility, our sliding patio doors consist of a fixed pane and large door, which slides open effortlessly to provide you with easy and secure access to your garden. 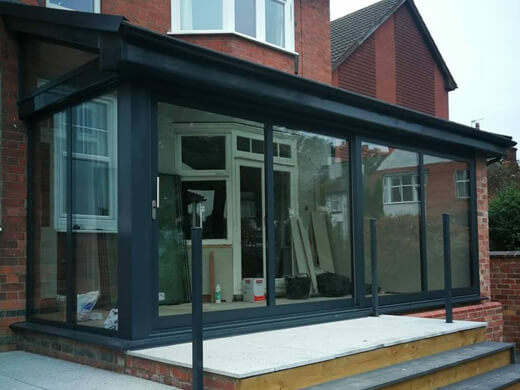 The toughened, sealed glass unit also offers fantastic insulation, with frames available in both UPVC and aluminium depending on your preferences. Why choose our sliding patio doors? Sliding patio doors add a contemporary touch to any property. 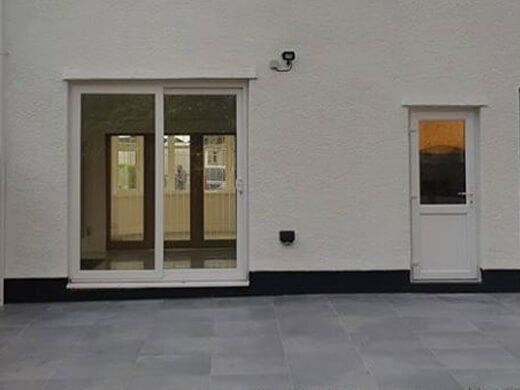 We have installed our sliding patio doors across South Wales. 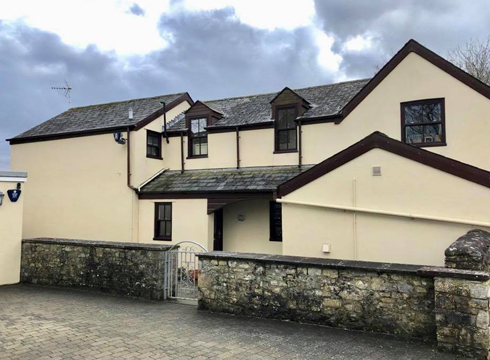 In this gallery you can see some of the stunning results we have achieved for our clients. Get in touch if you think our sliding patio doors are the next addition to your home. Our sliding patio doors come with the latest anti-drill and anti-pick locking mechanisms, to provide you with peace of mind regarding their security. You can be confident our sliding patio doors will dramatically improve the safety of your South Wales home. 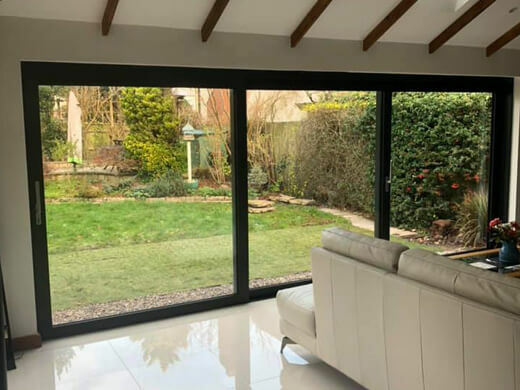 Because of our confidence in the quality of our sliding patio doors, we also provide a 10-year standard guarantee, which means that you should have no concerns regarding their aftercare. As previously mentioned, the toughened, sealed glass unit offers amazing insulation. This means you home will maintain a desired temperature for much longer – improving the comfort of your South Wales home tenfold. Our highly-trained and professional craftsmen will arrive on a day of your choice at the agreed time. 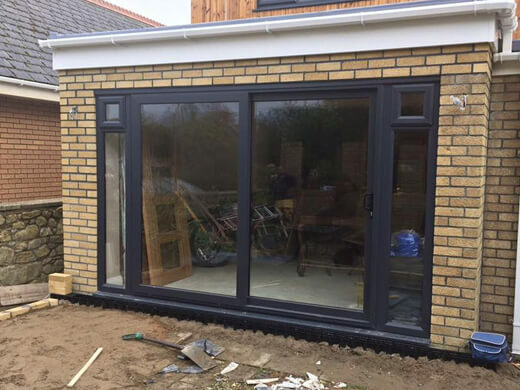 They work quickly and efficiently to install your sliding patio doors, leaving minimal mess and limiting disturbance in your home where possible. 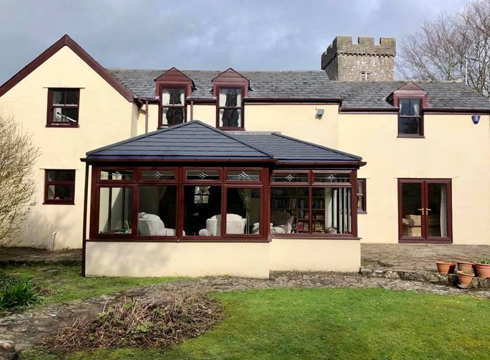 If you would like any further information regarding our sliding patio doors in the Cardiff and South Wales area, please fill in our online enquiry form or call us on 02920813488.